Go for a throwback look in your room with this Taylor Navy Velvet 2pc. 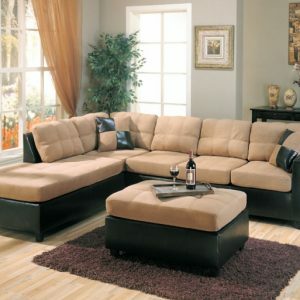 Reversible Sectional. 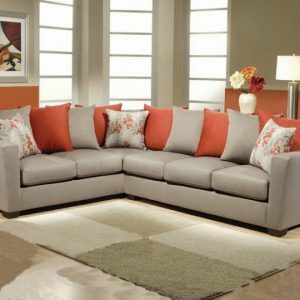 The boxy design calls up memories of 1970s glamour, while deep seats provide lots of room for you to get comfortable. 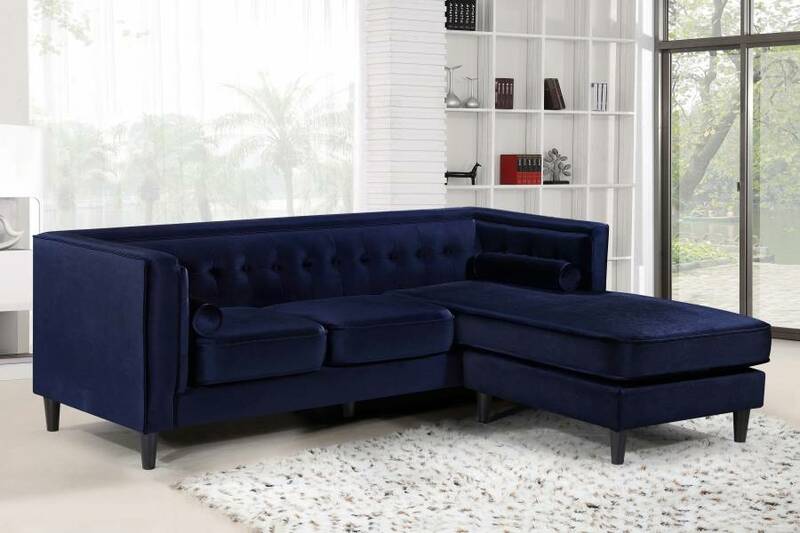 Button tufted details add to its regal look, and a chaise end ensures you have the space you need to stretch your legs out and take an afternoon nap. Wooden legs provide sturdy support for the sectional, and included arm rolls add to its homey vibe.